Will Hollywood, FL Nursing Home Owners Face Charges For Culpable Negligence? Countless tragic stories have been in the headlines since Hurricane Irma descended upon Florida, but the 10 elderly residents who died in a Hollywood, Florida nursing home has gained nationwide attention. More recently, Fox News reports that there actually be criminal charges against the facility’s owner and/or members of the staff. As the Florida State’s Attorney’s Office and Hollywood Police investigate, there may be evidence showing the existence of culpable negligence by the employees, directors, owner, and other individuals involved with operation of the nursing home. Negligence is at issue in many civil cases, such as car accidents, medical malpractice, and other personal injury matters. However, negligence may also be so blameworthy as to rise to the level of a criminal offense. A Florida criminal defense lawyer can answer some of the more common questions about culpable negligence. Indicates recklessness, careless disregard for others. Examples may be allowing a child access to firearms by not properly stowing them or driving a vehicle recklessly, such as when extremely intoxicated or while street racing. How does Florida law punish a conviction for culpable negligence? Depending on the facts of the case, the offense may be charged as different degrees of misdemeanor or felony. Lesser charges apply when the offender exposes another to danger, and no injury results. 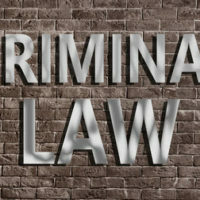 However, where the actions actually cause injury or death, more serious misdemeanor charges or felony counts may apply. Third Degree Felony: Incarceration up to five years. Are criminal and civil negligence different? Wanton disregard for the safety of others. In addition, the standard of proof is lower in a civil case where a plaintiff must show liability by a preponderance of the evidence; a prosecutor must prove facts beyond a reasonable doubt to get a conviction for a crime. Culpable negligence may not be a well-known criminal offense in Florida, but authorities will charge you with the crime if the circumstances warrant it. The prosecutor faces an uphill battle, however, because the statute is somewhat murky and there are numerous defenses available. A Florida criminal defense lawyer can help identify the weaknesses in the case against you and potentially obtain a positive outcome. Fort Lauderdale attorney Kevin J. Kulik has extensive experience in all types of criminal cases and will fight for your rights. Please contact our office today for a confidential consultation.